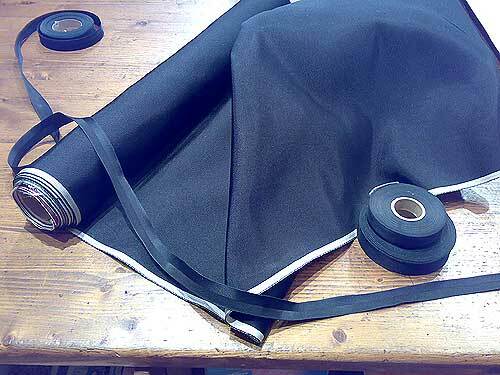 The knowledge and art of tailoring, of cutting and sewing cloth -- the two basic aspects of constructing clothes from a pattern -- developed slowly and gradually in Europe between the twelfth and fourteenth centuries. The Oxford English Dictionary's first reference to the word "tailor" gives the specific date of 1297; and certainty by that date tailoring guilds, as well as those of weavers, and cloth merchants were well established in Europe. During the Middle Ages clothing had been regarded as a means of concealing the body. But with the Renaissance came the accentuation of the human form. The loose robe, that standard uniform of the medieval period so easily constructed from a single piece or two of cloth, was shortened and tightened, and eventually cut, pieced, and sewn together in attempts to bring into prominence the contours of the human form. This was the birth of tailoring and, in fact, of fashion. These attempts at re-constructing the human body in fabric called for a growing expert skill and division of labor. Soon the cutter (the one who makes the pattern) and tailor (the one who does the sewing) joined other craftsmen as important members of the community. Until this time the cloth had been the distinguishing feature of garments, and the wearer took most of the responsibility for the design ~ and, in most cases, the actual production ~ of his own clothes. But little by little, the tailor took on equal importance with the weaver, and gradually came to overshadow him. Master tailors in the growing towns eventually became responsible for the clothing needs of society, and the art and science of tailoring became a highly specialized, complex, and jealously guarded craft. As towns became cities, then city states, and finally empires of power, fashion followed. First Italy, then Spain and France became the center for fashionable dress in concert with the power, wealth, and influence of those empires. Italy reached its great flowering during the age of Michaelangelo, followed by Spain early in the 17th century. France reached its fashionable peak for tailoring during the long reign of Louis XIV (1643 - 1715), when foppish young men from all over Europe flocked to Paris for their wardrobes. Almost every comic play written in the second half of the 17th century includes the character of a Paris-dressed fop, perfumed and beribboned, with powdered wig and silver-buckled shoe in the latest French mode. But by the time of the French king's death in 1715, there had already begun a shift in power, and influence -- and fashion. Even during Louis' long lifetime a great shift in masculine costume was occurring. In the middle of the 17th century men began to give up the doublet, hose, and cloak that had been the staple items of their wardrobe since the 1500s, and began to wear coat, vest, and breeches, the three components we can begin to identify as modern dress. Across the Channel, the English had not only turned away from the doublet and hose, but quickly moved through the phase of embroidered ostentation decreed by the French court. They had just survived a bitter but democratizing civil war (l642 - 1649) which, among other things, called into question the brocades and velvets, the silk and pastel satins and powdered wigs and other ostentations of aristocratic French court dress. Over two centuries later, Oscar Wilde would quip that the Puritans and Cavaliers who fought that war were more interesting for their costumes than their moral convictions. The English moved away from the highly decorative and delicate court style, and took up a more practical form. The costume of both the landed gentry and the newer mercantile class became progressively less gorgeous and exquisite during the 18th century, and far more somber and sober. By the early decades of the 19th century, sobriety (in dress at any rate) had begun to penetrate even the court circle itself, and kings, consorts, and princes were seen to dress in a manner almost identical with their subjects. By mid-century the age of stovepipe hats, umbrellas, and frock coats -- each in glossy black -- was firmly in place. English tailors, particularly those in London, now came to dominate the fashion scene. First, the English had evolved a style for masculine clothing that was a subtle blending of landed gentry, sporting attire, and bourgeois business wear produced in the tremendous wake of the Industrial Revolution. Secondly, aristocratic court clothing had not been constructed so much with a concern for fit as it had with concerns for decoration, fabric, and color. But when the shift away from ornamentation and ostentation began to occur, fit became the criterion of dress for men. We take it for granted today, but the idea of "fit" as a criterion for men's clothes is a fairly recent one. It is an idea calling for great skill in execution. The English tailor was trained to use woolen cloth, and over years of experimentation and practice he developed techniques for "molding" the cloth close to the body without exactly duplicating the true form of the wearer. In short, the tailor could now actually develop a new aesthetic of dress: he could mimic the real body, while at the same time "improving" and idealizing it! It was no longer a question of voluminous yards of flowing silken brocade. Men became "gentlemen" (itself a 19th century term) and frowned upon gaudy display in favor of discretion, simplicity, and the perfection of cut. It was, in terms of fashion, the culmination of that radical turn taken in mid-17th century: the Modern had finally arrived! And the Modern was the tailor's art. There have been tremendous innovations in these past hundred years in fashion and the art of tailoring: sewing machines now do the work on straight seams better than could be done by hand; new fabric technology has history produced more comfortable cloths; fashions have adapted to more leisurely, climate-controlled lifestyles. But tailoring is still, and likely to remain so, an art. It has not been brought down to the level of a science. The tailor still believes in making personalized clothing, statements of fashion for the individual, as he always has done. Even since the invention of ready-made, cheaply-produced clothes in the middle of the last century, the demise of the tailor has been predicted. Like the panda and the whooping crane, it has been said, the march of modern life is against him. Mega-international corporations seem to own everything, calculatedly obsolete gimmickry)� abounds, and Coca-Cola now sells clothing as well as soft drinks by the millions of units. But craftsmen have indeed managed to survive in this age of the mass-produced and quickly thrown away, even to prosper. There is still a clear need for the uniquely personal and individual in our lives. In this age of the shoddy and the quick, the vulgar and the mass-consumed, tailors can still be counted on to champion uniqueness and quality. It is the hallmark of their tradition. Today, skilled tailors can be found in Rome as well as Richmond, VA, Paris and Pittsburgh, Hong Kong, Kansas City, Rio and Dallas -- as well of course as Milan, London, and New York They are the fitters and pattern drafters, the stitchers of the handmade buttonholes, the cutters of the fine worsted and cashmere and heathery tweed. 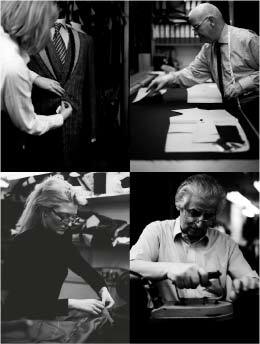 And they are all standing in the long shadow of tradition and craftsmanship that is the art of tailoring. Rodeo tailor is a term for a creator of the flamboyant costumes typical of country and western musicians, characterized by extensive hand embroidery, an abundance of rhinestones, and 'cowboy' details such as pearl snaps and arrowhead pockets. A Tailor makes custom menswear-style jackets and the trousers or skirts that go with them, for men or women. Designers think up combinations of line, proportion, color, and texture for intended garments. They may or may not have sewing or patternmaking skills, and may only sketch or conceptualize garments. They need to work with people who know how to actually construct the garment, or else the sketch will remain a sketch. Patternmakers flat draft the shapes and sizes of the numerous pieces of a garment by hand using paper and measuring tools or by computer using AutoCAD based software, or by draping muslin on a dressform. 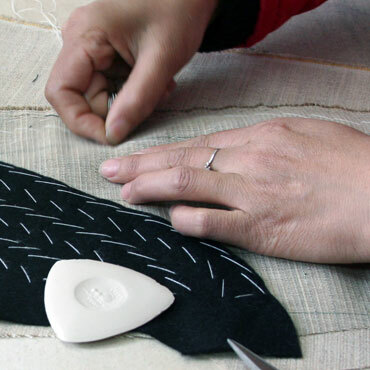 The resulting pattern pieces must comprise the intended design of the garment and they must fit the intended wearer. A Wardrobe Consultant, Fashion Advisor, or stylist recommends styles and colors that are flattering for a client. They are often employed by actresses and others who wear haute couture clothes. A Seamstress is someone who sews seams, or in other words, a machine operator in a factory who may not have the skills to make garments from scratch or to fit them on a real body. This term is not a synonym for dressmaker. Seamstress is an old euphemism for prostitute. There is not a lot of films about tailoring, but one of the more risque ones is The Tailor of Panama. It stars Geoffrey Rush, Pierce Brosnan and Jamie Lee Curtis. The story centres around Geoffrey Rush's character, who is the personal tailor of the President of Panama. Pierce Brosnan tricks him into spying on the president/etc, but the film also touches on the practice of tailoring and the history of it. Check out the alternate endings on YouTube. Four Stars.